Well, I do not have access to my computer and am using other ones and instead of taking risks of destroying or leaking passwords, etc. I use another server for this page. I am away for a few weeks working in the U.S. and thought that if I have anything interesting I will write about it. Heart O' Texas Speedway, Waco, Texas I took a drive up to Waco and watched some IMCA racing (International Motor Contest Association http://www.imca.com/). Modifieds In the Modifieds class the winner refused to sell (competitors wanted his engine) his USD 20.000 motor for the stipulated USD 525 which the rules says so he was disqualified. Lost all points and got a USD 1.000 fine. Sprintcars Hey. These are the wingcars. They are awesome. Extremely fast and nimble. One of the racers had opted for too much rear wing (not the car in photo). 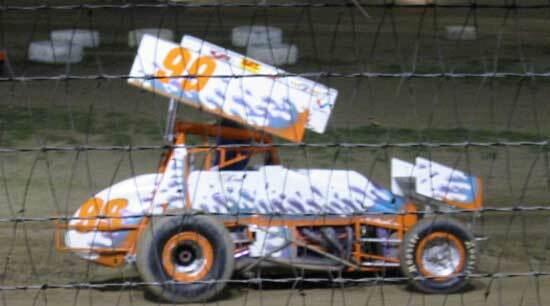 When he hit the pedal the front wheels lifted and that was while he was in the turn. He had to go on and off the pedal so that he could use his front wheels. Most of the cars were sliding in "speedway" style but he had grip and a tough car to drive. On the straights he had his front wheel in the air a lot. Really cool. Speeding home A friend of mine once found out that when he hit the P with his rental car it switched the ignition off for a few seconds and the car slowed down. 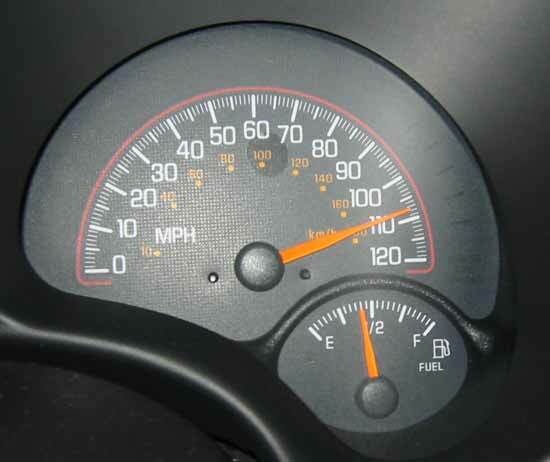 P is a letter that you can find at the bottom on some speed meters MPH. A few years back we noticed a similar thing when we went from Chicago up to Alpha Raceway. Yesterday I drove up to Waco, the town most know to Europeans for David Koresh and the FBI. I went to Heart O'Texas Speedway and watched some late Friday night races. The track was a gravel banked oval. The length was similar to the longer speedway tracks in Europe and Australia. The ran different classes from smaller cars driven by 12-16 year old kids via different type of sedan models, Camaros and then, methanol powered "Modified". A 23-car field covering more than half of the track and with plenty of yellow periods. It was fun. Next Friday they have sprint cars racing there. Since I am going to work for a while in RoundRock, north of Austin, Texas, I looked around little and found a newly opened Slotracing track, ZRaceway, located 10 miles west off RoundRock on 620. When I came to the track there were a lot of girls outside. When I stepped in there were even more. I found out that a local softball team had rented the track for a birthday party so I did not have any chance to try it. What track do they have you may ask? Well, they do have a really heavily banked King-track build by John Ford for an earlier raceway. In their racing programme they focus on Flexi type classes and Box stock 12 with Eurosport bodies. ZRaceway will host a large race late September with entrants from all over Texas.